Skylum's photo-editing package of Luminar and Aurora HDR is a very capable alternative for professional photographers who don't want to go with Adobe's subscription model. Instead, Skylum offers a good ol' fashioned buy-it-once-and-keep-it package, but still receive free updates on its software, even offering discounts for existing owners on new releases. 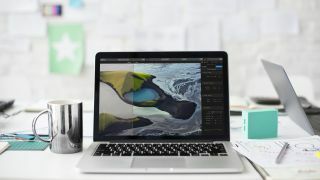 Luminar 2018 and Aurora HDR 19 work for both Mac and Windows, and are the latest iterations of Skylum's constantly improving suite, and they offer professional solutions for photographers to enhance, edit and get creative with their images. Until 28 November, Skylum is offering a very tempting offer on both a standalone deal for Luminar 2018 as well as a bundle with both Luminar and Aurora HDR 19. In both cases, you'd get the recently introduced AI Sky Enhancer update for Luminar, as well as receive a free Custom Looks & Styles update as soon as it's released in December. The bundle is an impressive 29% off, while the standalone Luminar offer comes with extra incentives on top of the 15% discount offered, aptly named a "Black Friday Bonus Pack". Those include: 3-month pro ViewBug membership, 2-month pro KelbyOne membership, a choice of any Rocky Nook e-book, "Awesome Landscapes Tutorial" from Daniel Kordan, a $20 gift card with any $120 purchase from Manfrotto or Gitzo, a 1-year SmugMuc Portfolio Plan, 119 dramatic and romantic sky overlays, 20% off COOPH photography apparel and accessories, and $300 off a multi-day photo tour to Iceland. Save $10/£11: Get Luminar 2018 with the all-new AI Sky Enhancer now and update to Luminar 3 with Libraries for free. Plus, you’ll get a bunch of exclusive extras worth $227 in a Black Friday Bonus Pack. Bonus pack includes: 3-month pro ViewBug membership, 2-month pro KelbyOne membership, a choice of any Rocky Nook e-book, "Awesome Landscapes Tutorial" from Daniel Kordan, a $20 gift card with any $120 purchase from Manfrotto or Gitzo, a 1-year SmugMuc Portfolio Plan, 119 dramatic and romantic sky overlays, 20% off COOPH photography apparel and accessories, and $300 off a multi-day photo tour to Iceland. Save $49/£43: Get Luminar 2018 with the all-new AI Sky Enhancer, and the Aurora HDR 19 photo-enhancing software.